Some people prefer to live in a deed-restricted community with all the amenities you could imagine. 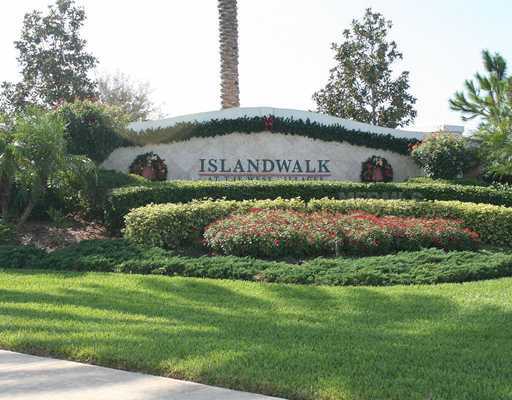 One such community is Islandwalk at the West Villages in Venice, Florida. It is an 830-acre, 24-hour guard gated community with luxury single family homes, patio homes and townhomes surrounded by lush Florida landscaping as well as lakes and preserves. The builder is DiVosta Homes. Living in this community is like being on vacation while you are at home. Some of the many amenities include walking and bike paths and bridges, nature walk, 8 har-tru tennis courts, bocce courts, heated lap pool, huge resort beach pool, fitness center, community center, card rooms, craft rooms, function rooms, library, massage room, full time activities director, a boardwalk with gazebos, and the list goes on. The only drawback for some people is paying the homeowner association fees. The community also offers a variety of social activities such as a Super Bowl party, ladies luncheon, bands, coffee and donuts, bingo, holiday dinners, crafts and cards. Another nice thing about the community is its convenience to the nearby gulf beaches where you can enjoy swimming, boating, fishing or shelling. Shopping is just up the road in Venice or North Port and Port Charlotte. Tags: Islandwalk Resort style community | Permalink.